Justice Robert A. Cony of the Maine Superior Court died at the Augusta General Hospital Monday evening, New Year’s Day, succumbing little more than 24 hours after being stricken with a heart attack. Known throughout Maine for his ready wit and human kindness, the 68-year old jurist attained his seat on the bench four years ago during the second term of the Barrows’ administration. Born at August September 19, 1876, the son of Robert A. and Ida E. Cony, he attended the local public schools, Kents Hill Seminary, and was graduated in 1907 from Bowdoin College where he was a member of Delta Kappa Epsilon undergraduate fraternity. He received his legal training at Georgetown Law School in Washington, D.C. where he lived for many years as secretary to the late United States Senator Edwin C. Burleigh. He was judge of the Augusta Municipal Court from January 1919 to January 1927, having served three years previous as recorder. In 1928 he took office as mayor and continued in that capacity until 1934, following which he was appointed United States Commissioner, a post he held until he entered the Maine Senate at the opening of the 1939 regular session of the Legislature. 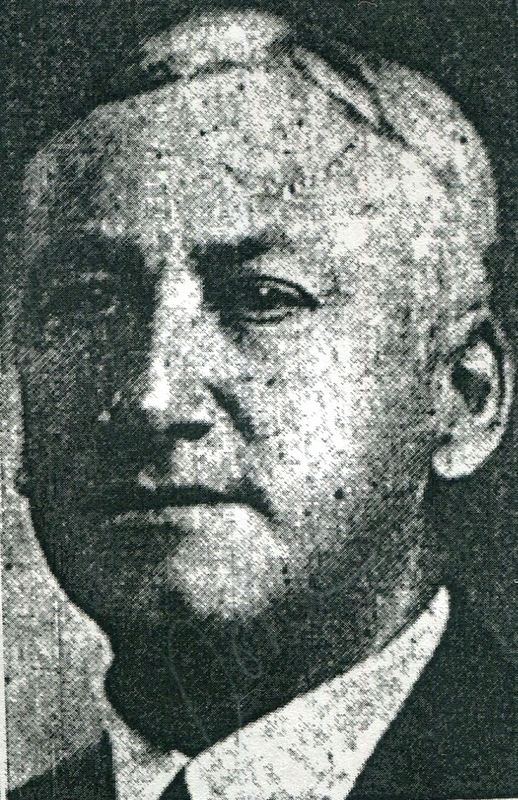 Active in civic affairs, both as mayor and before and after holding that office, he led the campaign for reopening banks in the Kennebec Valley formerly operated as the August Trust Company and its branches after the 1933 bank holiday, a drive which resulted in the organization of the Depositors Trust Company which he served as vice president up to the time of his death. In 1913 he married Miss Louise Gartley of Bangor who survives him. There were no children. Besides his wife, he leaves three sisters, Mrs. Maude Jackson and Mrs. Alice Ripley of Augusta and Mrs. Josephine Bradstreet of Hallowell, a brother, Daniel E. Cony of Portland, and several nieces, nephews, and cousins. At one time he was a Linotype operator and later a reporter for the Daily Kennebec Journal. He had been local and State commander of the Sons of Union Veterans of the Civil War, commander of the local H.G. Staples post, S.U.V., a member of the Augusta Lodge of Masons, St. Mark’s Church, and of the Augusta Kiwanis Club. Justice Cony was prominent in club and fraternal affairs, have been also a member of Asylum Lodge, I.O.O.F., the past 37 years. He served as noble grand in 1920, and in 1940 was president of the Kennebec Valley Past Grands Association. Services will be held at St. Mark’s church Thursday afternoon at 2:30 o’clock. Friends, who are requested to omit flowers, may call at the Knowlton and Hewins Funeral Home, 15 Flagg Street. Commenting on Justice Cony’s death, two members of the Supreme bench, one the chief justice, paid the highest respect to his memory. From the Blaine Mansion Governor-elect Horace A. Hildreth paid high respect to the late jurist both as a judge and humanitarian. “The Maine bench,” Mr. Hildreth said, “lost one of its distinguished jurists in the sudden death of Robert A. Cony. 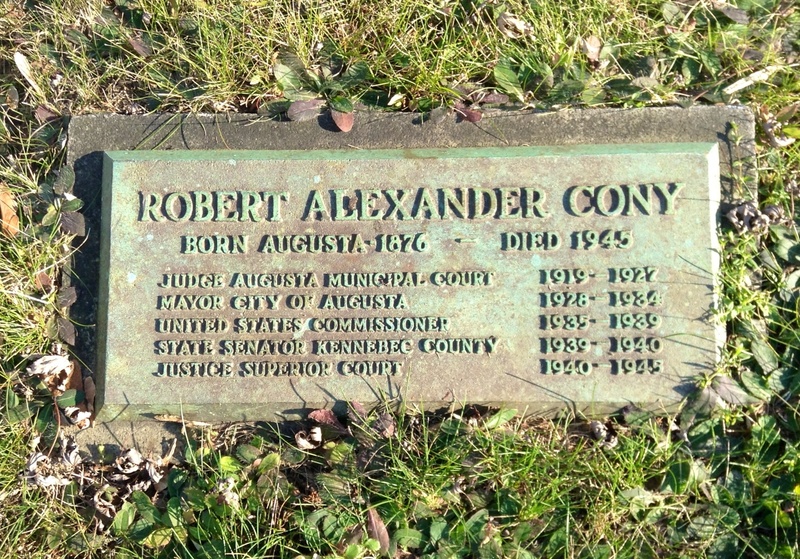 A prominent representative of the Kennebec bar and one of Justice Cony’s intimate friends of long standing eulogized Justice Cony as a self-made man who earned his laurels rather than inherited them. Leaders of the state, church and bar attended funeral services Thursday afternoon at St. Mark’s Episcopal Church for Justice Robert A. Cony who died here on Monday evening. Augusta banks and stores were closed during the hour of the services in honor of Judge Cony and delegations from lodges and clubs of which he was a member attended. Former Governor Lewis O. Barrows and the judges of the Supreme and Superior Courts were also present. Delegations present included Asylum Lodge, IOOF; the H.G. Staples Camp and Auxiliary, Sons of Union Veterans, the Augusta Lodge F and AM; and the Kiwanis Club. Justice Cony was commander of the H.G. Staples Camp at the time of his death. Honorary bearers were George E. Spofford, E. Payson Robbins, Charles S. Brown, Russell B. Spear, Henry P. Clearwater, Samuel Titcomb, Burleigh Martin, Joseph P. Williams, Leroy F. Hussey, Alfred J. Lacasse, Clarence Cram, and G. Cony Weston. Active bearers were Llewellyn G. Bradstreet, Jr., Brooks Newbert, Daniel E. Cony, William B. Williamson, Captain Gerald Gartley, U.S. Army, and Ceylon P. Archer. Ushers were John C. Arnold, Col. Francis H. Farnum, and A. Morton G. Soule. Committal services were held at the grave by the Rev. Charles A. Clough, rector of St. Mark’s Church, who officiated at the services. Interment was in the Riverside Cemetery.